We love how much information can be layered into a map! It can help you get the ‘big picture’ on a situation. With that in mind, some talented volunteers at Coffey Strong, with the help of a generous donation from Esri/ArcGIS the mapping software company, have created an interactive online map with several layers of information embedded. We will update this map on an ongoing basis. You can always find this map on the Coffey Strong map resources page too. Link to view the map. Trying to track down an neighbor to discuss the rebuild? 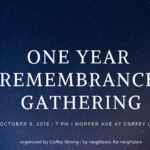 if they are registered with Coffey Strong, you can ask your block captain to help you connect with them. Have ideas about other data items we might track on a map? Let us know your suggestions! This is intended as an informational resource for residents affected by the October wildfires. 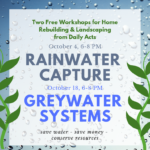 Presented by the Sonoma County Chapter of the California Land Surveyors’ Association. What is a professional land surveyor and why would I need one? A Professional Land Surveyor is the only person licensed and authorized by the State of California to determine and physically locate the boundary lines of your property. I don’t need to know exactly where my property line is. Can you just show the boundary as approximate? Surveyors DO NOT show approximate boundary lines on maps. A boundary survey is a process by which a Surveyor can determine and mark a legal description physically on the ground. This may include placing durable monuments at or near property corners or temporary wood stakes along a property line. Once completed the Land Surveyor is required to file a Record of Survey at the County recorder’s office. On smaller sites or when development is proposed near a boundary line, the location of the boundary line must be precisely determined in order to protect the rights of you and your neighbors as well as to adhere to City or County regulations. What is the difference between a boundary retracement and a boundary survey? If a boundary has been previously shown on a map of record (Record of Survey, Parcel Map or Final Map), a boundary retracement may be done to locate and flag existing monuments at or near the property corners. Missing corners will not be reset. In a boundary survey, existing corners will be found and flagged. Missing corners and/or previously unmarked corners will be set. The setting of any monuments requires filing documentation with the County. Your Surveyor will determine the appropriate documents to file based on the condition of the existing monuments found during your survey. Lots in subdivisions are generally shown on a map of record and a boundary retracement may be performed, provided existing monuments are sufficient to retrace the filed map. Deed described parcels that have not been previously shown on a Record of Survey will require a boundary survey to mark property lines on the ground or show them on a map. I have an Assessor’s Parcel Map. Doesn’t that show my property line? An Assessor’s Parcel Map (AP Map) is a useful tool but it is not a legal property map. Lines shown on AP Maps are created by the Assessor’s Office for tax purposes. They may be similar to record boundary lines but cannot be used to locate property lines. My lot is shown on a GIS website. Can that be used to show my property lines? Most GIS applications use digitized AP Map lines (see previous question) and are an approximation of boundary lines. GIS is an invaluable resource but cannot be used for true boundary location. Once the survey is completed, how will I know where my property line is? After a boundary survey is performed, your Land Surveyor will flag up existing monuments that have been found or set new durable monuments. Monuments are typically iron pipes driven in the ground with plugs stamped with their license number. Boundary surveys may require a Record of Survey map be filed with the County which will show both the found and new monuments. If a boundary retracement is performed, existing monuments will be flagged to make them more visible. Missing corners will not be set and no Record of Survey will be filed. What is a topographic map and why would I need one? A topographic map, commonly referred to as a topo, shows relative elevations on a site and locates existing site features such as foundations, fences, significant trees, sidewalks, driveways, etc. A topo is used as the base mapping for architectural, civil engineering and landscape design work. Topos are used by civil engineer to design the site grading (including the building pad elevation), and to prepare an estimate of how much fill soil, if any, will need to be brought to the site to meet City or County regulations. Are there any County fees associated with a boundary a survey? Survey fees will vary based on many factors such as the size of the site, whether it’s been previously surveyed and whether the found lot monuments agree with those previous surveys. County fees, if required, vary depending on the type of survey being performed and may range from $17 to $694. 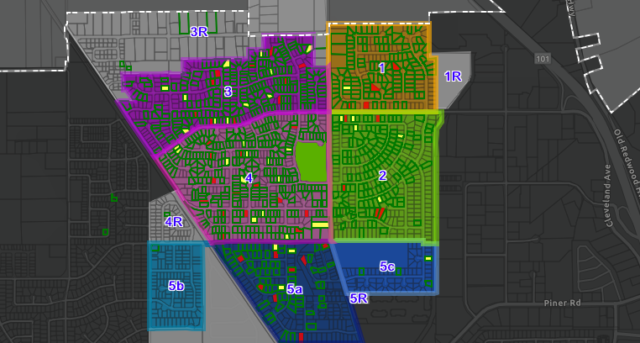 Generally speaking, the most effective way to reduce the survey fees for parcels in a subdivision is to work together with your adjoining neighbors. There are no County fees for topographic surveys. My architect requested the building setback lines. What are building setbacks? Building setbacks are requirement determined by the City or County that dictate how close a new building or structure can be placed to a boundary line, waterway, well or other feature. Setback distances vary between County and City and even neighborhood. 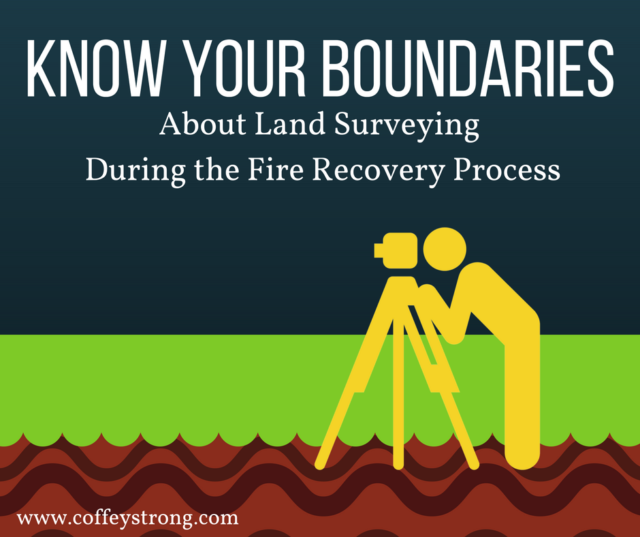 Locating a setback will most often require a boundary retracement or boundary survey. I just need the corners of my foundation marked, how do I do that? If your building is close to a setback to the property line you will need a boundary retracement or boundary survey to determine the location of the foundation. Please feel free to email additional questions to the Sonoma County Chapter of the CLSA at Secretary at [email protected] but please note, we will not be accepting requests for proposals. You may also visit us at www.sonomacountyclsa.com. Have you ever wondered why some neighborhoods seem to be full of people that are connected, whereas other neighborhoods feel like residents are on their own? “Neighborhoods with strong social ties, mutual assistance and non-profits can increase life expectancy by 5 years and reduce fatality rates by a factor of 10 during disasters”. 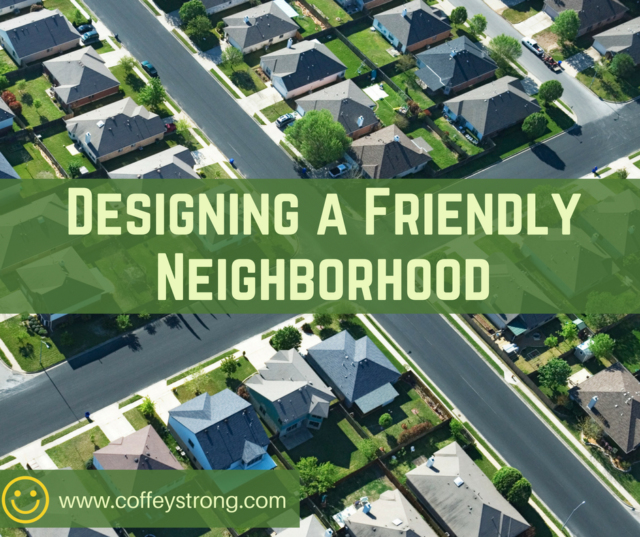 What are the things that you can do while selecting or designing a floor plan to increase neighborliness in Coffey Park? One of the most important qualities of cohesive neighborhoods is that the structure of the street allows them to comfortably interact. Looking at the photos below, which street scene looks friendlier? Which one would contribute to letting the residents get to know each other? Most people would say that the street in the second image, with the porches in front of the houses is the more socially connected street. That is because the active areas of the house, with people in them, are behind the porch. 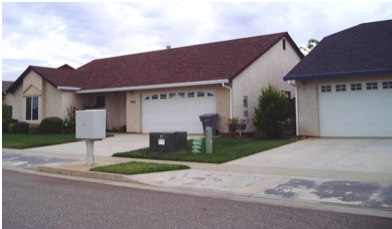 It is more likely that you will informally meet a neighbor if they live in a house with a porch that is close to the street, instead of a house with a hidden entrance to the side of the garage. 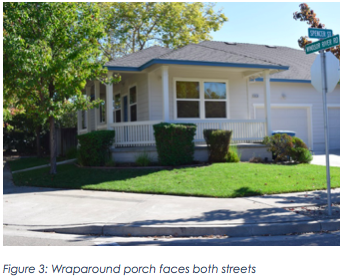 The Santa Rosa city zoning code allows buildings in residential districts to put the porch 15’ behind the sidewalk, 4’ closer than the garage. (Your particular zone may allow it to be even closer to the sidewalk.) Have you thought of adding a large porch to your rebuilt house? It could be your contribution to making your whole neighborhood safer and more neighborly. 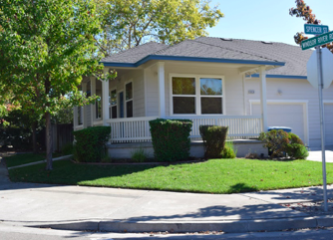 If you have the good fortune of having a corner lot, you might consider a wrap around porch. That way your new house will be connected to both streets. Another feature of resilient neighborhoods is that people have a chance to meet on foot because walking around the neighborhood is an enjoyable activity. Which of the streets below look most inviting to go for a walk? If you previously paved over your planter strip, how about opening it up again and planting a street tree getting your neighbors to do the same? 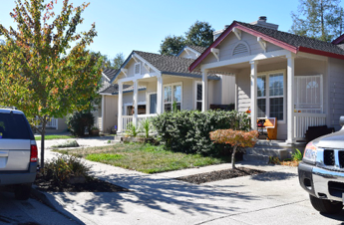 These are ideas are some ways for you to help make Coffey Park even more safe and neighborly in its new incarnation- because of the way that you design your new house and lot. Lois Fisher, CNU, LEED-AP and LEED-ND is the president of Fisher Town Design and an Urban Designer. Her firm specializes in creating walkable downtowns and neighborhoods as an alternative to suburban sprawl. Her approach combines an understanding of the unique assets of a site with the timeless principles of urban design. The result is healthy, socially and economically vital places that are sustainable. Her Theatre district project in downtown Petaluma is a very successful urban design redevelopment project. The successful relocation of the North Santa Rosa SMART station from Frances Drive to Guerneville Road is another example. She is an adjunct faculty member and teaches Urban Design at Sonoma State University. Lois Fisher has served for many years on the Planning Commission for Windsor and helped to spearhead the development of the downtown there. She regularly writes ‘Close to Home’ pieces for the Press Democrat on urban design topics.